You'll be £16.99 closer to your next £10.00 credit when you purchase Corsets & Codpieces. What's this? Have you ever wondered why we wear the type of clothes we do? Packed with outlandish outfits, this exciting history of British fashion trends reveals the flamboyant fashions adopted (and discarded) by our ancestors. In the days before cosmetic surgery, people used bum rolls and bombastic breeches to augment their figures; painted their faces with poisonous concoctions; and doused themselves with scent to cover body odour. Karen Bowman charts our sartorial history from the animal skins first used to cover our modesty and show off hunting skills, right up to the 20th century drive for practicality and comfort. A fascinating read for fashionistas and history fans alike. Vlog review featured online here. Provides a fascinating insight into the history of costume. This is a delicious morsel of a book which is a delight from start to finish. Filled with wonderful and well chosen sketches, illustrations and photographs, this is a real treat for history lovers. From medieval to modern, Karen Bowman takes you on a journey through the most ridiculous and uncomfortable fashions. Tall medieval hennins (headdresses), tight corsets (often causing early deaths of women), flammable crinolines and many other strange fashions are vividly described. 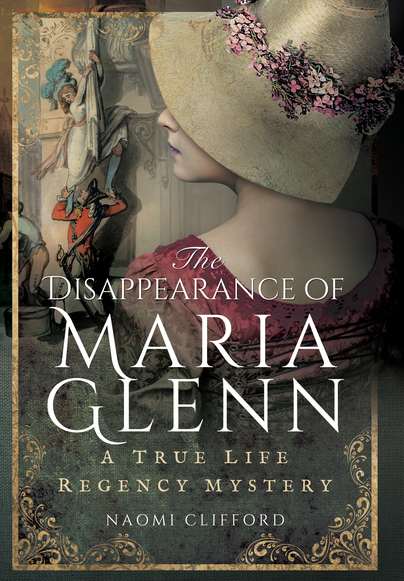 Bowman writes about the dark side of seemingly beautiful historical dresses, and she does it with considerable skill and a hefty dose of humour. "Corsets and Codpieces" is a keeper and should grace every history lover's bookshelf. It's lovely. For anyone interested in humanity, the growth and change of men and women over the centuries, women’s rights or simply anyone interested in clothing and design will absolutely love this book by Bowman. I highly recommend ‘Corsets and Codpieces’ for any bookshelf! his is an exciting history of British fashion trends. From people using bum rolls and bombastic breeches to augment their figures, why Tudor men traded in their oversized codpieces for corsets, to crinolines causing a spate of shoplifting among Victorian ladies. A fun and incredible insight to how fashion shaped us and we shaped fashion. ... Packed with all manners of delicious details, this is a thoroughly entertaining compendium - with a marvellous appendix made up of extraordinary items uncovered by the author in the course of her research, from the side-effects of cocaine toothpaste to the archaic form of measurement still used as the basis for British shoe sizing. A sartorial journey through British history focusing on the unusual items of clothing people wore. 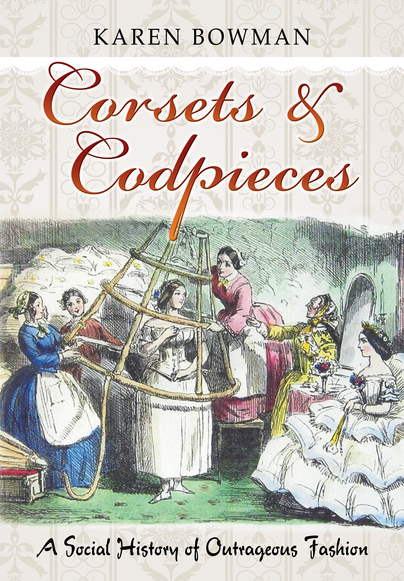 Corsets and Codpieces offers intriguing insights into the peculiarities of English dress from the ordinary to the outlandish. Bowman’s research, as well as mapping the path of fashion through history, explores the minutiae – recipes for dyes, costs of fabrics, the dangers of crinolines and the toxic effects of Elizabethan make-up – and also enlightens us on contemporary attitudes to the more eccentric styles. An absolutely fascinating read. Karen Bowman charts our sartorial history in this fascinating read for fashionistas and history fans alike. A well-illustrated overview of changing fashions over the centuries. A diverting and fascinating journey through the quirkier aspects of British sartorial history.